Doctor…Doctor Who? The quality of Nu-Who (as the modern Doctor Who is called, for those not in the know) has always been inconsistent. But when it is good, it is very good (on the negative side, when it is bad, it is very bad!). It is consistently the best thing on a Saturday night TV! Of course, there’s only competition in the form of reality TV shows. And that means not much competition at all! 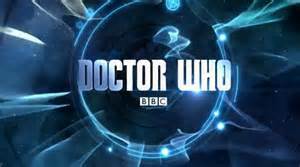 Here are my thoughts on the British science fiction staple that is Doctor Who!